Visit the Tahoe Truckee Unified School District for a full list of projects. 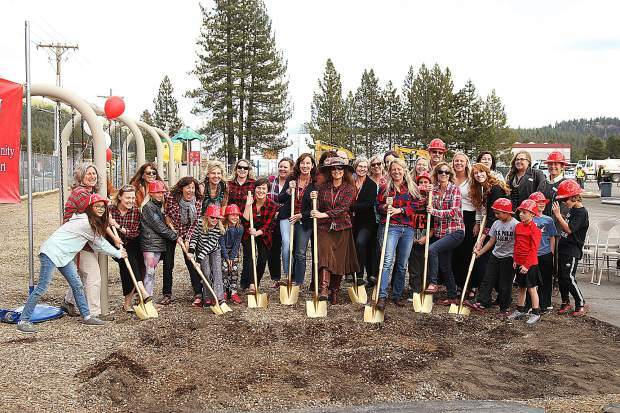 Truckee Elementary School teachers, students, and members of the Tahoe Truckee Unified School District gathered in front of the elementary school Wednesday afternoon with golden shovels in hand to celebrate the start of construction on the school. That turning of dirt also marked the final phase in a series of renovation projects throughout the entire school district. The projects, made possible by the passing of Measure U and E in 2014, consisted of remodeling Truckee area and Lakeside area schools. Truckee Elementary was constructed in 1957 and last modernized in 2001 with construction of the gym in 2002. The project consists of upgrading and modernizing existing school buildings and utilities, constructing a new cafeteria, parking lot, playground, and play field, building new classrooms to replace the 20 portable classrooms, and expanding the library. The construction is expected to be completed by October 2020. “We’re very excited about a bigger playground and having a shorter walk to recess,” said Zuzana, a first grader at Truckee Elementary who spoke in front of a crowd of parents and teachers, wearing a red hard hat. “It’s an investment in the future and it’s an investment for this town,” said Jorge Rojas, director of facilities for the district. “Not only did we have the educational awards but now we have the facilities to go with it,” he said in reference to California’s Model Programs Award given to the elementary school by the California Department of Education this year. Truckee High School is still in its final phase of the construction process but is expected to be completed in December of 2019. The project includes construction of a new-two story classroom to house Science, Technology, Engineering, Art and Math programs as well as a new library, with renovations to the front facade, bus drop-off areas and student gathering areas. In addition, a new all-season synthetic track was installed, allowing the high school to host its largest track meet in school history last weekend. The Measure U bond is a General Obligation Bond measure that provided $114 million to fund the highest priority facilities needs of Truckee area schools, including Truckee Elementary, Alder Creek Middle School, Donner Trail Elementary, Glenshire Elementary, Sierra Expeditionary Learning School (SELS), and Truckee High School. 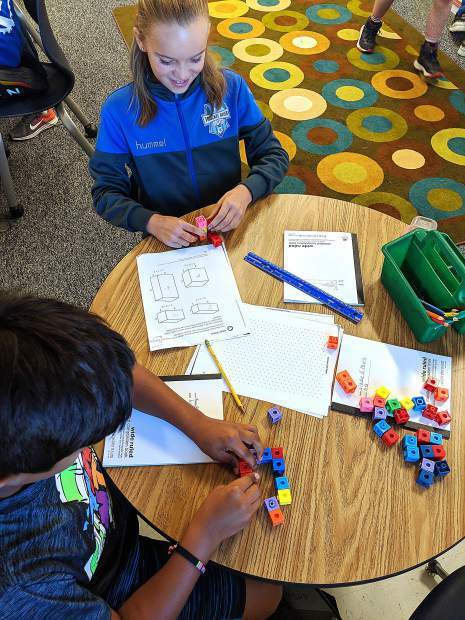 Measure E is a General Obligation Bond measure that provided $62 million to fund the highest priority facilities needs of Lakeside Area Schools including improvements for Tahoe Lake Elementary, Kings Beach Elementary, North Tahoe School, and North Tahoe High School. In December, the school district announced it was able to save taxpayers a combined $122.7 million after selling a series of bonds under Measure U and E. Measure U projects were projected to cost a total of $251 million, including interest, and Measure E projects were projected to cost $139 million. The total costs ended up at $165.4 million for Measure U and $101.9 for Measure E. Taxpayers can expect to see a shorter period of repayment as a result, officials said. “As taxpayers we’re very proud that while we had conservative estimates of what it’s going to cost it came in significantly lower,” said Twomey. She said that with the combination of good timing and fiscal responsibility, taxpayers are now able to pay less over a shorter period of time.